Is an Obama Donor Tying the President’s Hands on Puerto Rico’s Debt Crisis? Vulture-fund investor Marc Lasry—who raised $500,000 for Obama in 2012—stands to gain if the commonwealth is not bailed out. One thing that caught my attention while reading this wistful, insidery feature in The New York Times about President Obama’s future (apparently a “post-presidential infrastructure” is involved) was a certain someone who attended a swanky dinner party at the White House recently. Sure, Toni Morrison was there, as well as Malcolm Gladwell and Eva Longoria, perhaps joining the prez in a taste of his fave, the extra-dry Grey Goose martini. 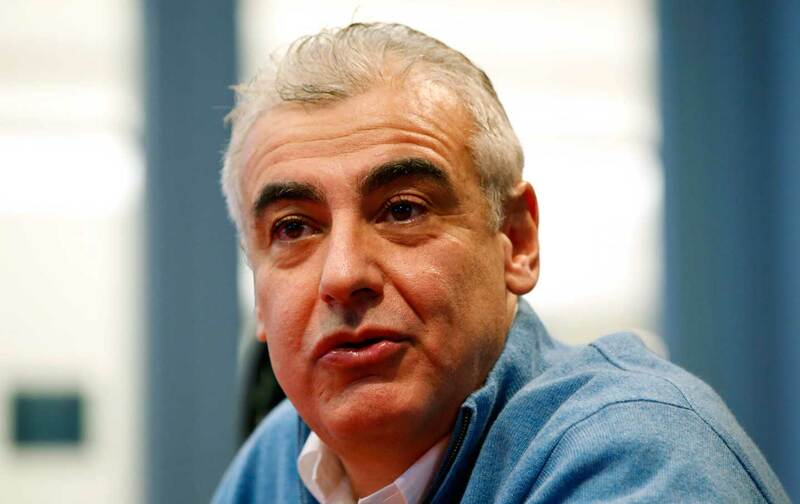 But it wasn’t a glamorous showbiz/intelligentsia name that attracted my notice; it was Marc Lasry, co-founder and CEO of the hedge/vulture fund Avenue Capital Group. Lasry is perhaps more famous at the moment as the new-ish co-owner of the NBA’s Milwaukee Bucks, a development that was so energizing for Wisconsin Governor Scott Walker that he signed a bill last week subsidizing a new arena for the team that, according to the Times, would “cost the public twice as much as originally projected.” But it turns out that Avenue Capital is one of the vulture funds that owns some Puerto Rico debt, and is currently aligned with Candlewood Investment Group, Fir Tree Partners, and Perry Corp, which have formed what is known as the GDB Ad Hoc Group (BGF is the acronym in Spanish), a coalition of vulture funds that hold bonds issued by Puerto Rico’s Government Development Bank. Recently the GDB Ad Hoc Group has hired the law firm Davis, Polk & Wardwell to represent it in the upcoming battle with the Puerto Rico government, hoping to recoup its investment and avoid either the government’s debt-restructuring proposals or a move by Congress to change federal law to allow the commonwealth/unincorporated territory/colony to declare bankruptcy. The irony here is that this is the same law firm that helped orchestrate the US government’s bailout of AIG, the bad-mortgage debt-swapping machine at the center of the 2008 recession. So the same law firm that pushed for the AIG bailout is gearing up to force Puerto Rico to pay up, while Obama, who also favored the AIG bailout, has not even hinted that he would offer one to the troubled island. Obama is now wooing Lasry as a potential contributor for his post-presidential library and foundation. “I haven’t seen the kind of focus that is necessary from this administration to respond to the crisis,” Representative Luis Gutiérrez told me in a phone interview earlier this month. While President Obama has yet to address the issue himself, he has directed White House Press Secretary Josh Earnest and Treasury Secretary Jacob Lew to suggest that although there will be no bailout, the bankruptcy laws should probably be changed to allow Puerto Rico to use them. These half-hearted Executive Branch pronouncements have done nothing to change the fact that the Republican-dominated Congress has no interest in either the House bill proposed by Puerto Rico’s resident commissioner, Pedro Pierluisi, or Senate legislation by Senators Charles Schumer and Richard Blumenthal to change the bankruptcy laws. On the surface, it seems like a political move for the administration to play this situation with a barely there indifference—sound familiar, immigration-reform activists? As the 2016 election looms, even though Obama is leaving office, he might want to leave the Democratic Party’s record as deficit hawks intact for whomever is nominated, and a Puerto Rico bailout would threaten that. But given the fact that Obama is having swanky dinner parties that continue his relationship with Wall Street types that have a) been bundlers of campaign contributions in the past and b) are now coming around to contribute major cash to a “postpresidential infrastructure and endowment,” including a library and foundation, that “could cost as much as $1 billion,” there might just be an ulterior motive. Lasry’s ties to big Democratic politics go back many years. A March 2010 feature in The Wall Street Journal (titled “Avenue Capital’s Investor in Chief—He’s Prescient. He’s Well-Connected. Just Don’t Call Marc Lasry a ‘Vulture.’”) describes him lunching with then–White House chief of staff Rahm Emanuel, in part to advise Emanuel on whether banks would resume lending again in the wake of the 2008 crisis. A 2012 New York Times article said “About 50 people paid $40,000 each to crowd into an art-filled room” in Lasry’s apartment to hear Obama and Bill Clinton speak. Last decade, Lasry’s Avenue Capital even famously employed Chelsea Clinton, whose husband has more recently flopped in making bad investments in Greece while heading his own hedge fund. Lasry, who was once a humble UPS driver whose parents convinced him to go to law school, seems to be at heart a gambler capable of rolling the dice with anyone in the global Wall Street hedge-fund casino dice game—as well as actual casino owners, like Republican candidate and anti-Mexican bigot/misogynist Donald Trump. This partnership, which stretches back to Trump’s Atlantic City casino bankruptcy in 2009, eventually resulted in Lasry buying him out and becoming the chairman of Trump Entertainment Resorts in 2011, a post Lasry eventually resigned. Low default rates in corporate debt have led such distressed-debt specialists to instead focus on cash-strapped governments like Greece, Argentina and Puerto Rico. But while prices of Greek and Argentine bonds bottomed out at less than 20 cents on the dollar at the height of their debt crises, much of Puerto Rico’s debt still trades between 50 and 70 cents, according to MSRB data. That means the hedge funds will need to recover more in a Puerto Rico restructuring than speculators in the Greek and Argentine defaults did to turn a profit. If turning that profit entails austerity measures like lowering wages and cutting pensions and laying people off, thus pushing toward a human rights catastrophe—well, a smart investor has to get those 50 to 70 cents on the dollar somehow. It remains to be seen if Obama really has Lasry’s back here, and if that’s the main reason for continued silence from the president on this issue. But one thing is clear: If investors have their way, a chunk of the money the Puerto Rican people will be paying back is owed to an unrepentant gambler who has a privileged, back-door channel to the White House.